Be You, No One Else Can: Yes, I Got Catfished! The focus for Year 9 Health throughout Term 2, was Cybersmart and Social Media. As we are part of the Manaiakalani cluster, we are to continue to develop cybersmart learners - learners who make sensible, informed decisions online. The current generation is drowning in online interaction and expectations; Facebook, Instagram, Snapchat to name the most common platforms. 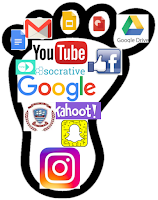 Therefore, we decided it was appropriate to focus our curriculum on exploring some of these platforms a little further, and how to be 'smart' when using them. Check out our planning/resources here. 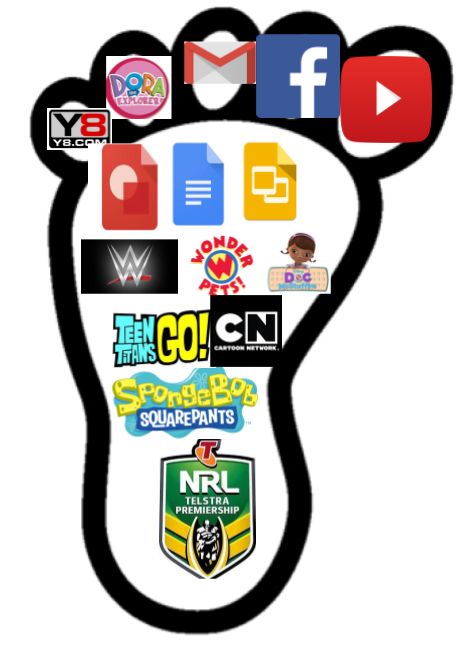 We started with discussing digital footprints, and students created their own. See Isacc's and Jolise's alongside. Some were really surprised to see how much time they had spent on social media sites, or gaming, and how little time was spent on school tasks, or off of their devices altogether. Creating these footprints started discussions about the importance of what we leave online, and how our reputation online could affect our futures. Not only were the students taken aback, but this also encouraged me to reflect on what people can find out about me if they Google or Facebook me, and what I could possibly tidy up! The students started to discuss privacy, and how really, nothing online is private. Check out Tane-Leo's blogpost, which breaks down his thinking a little further. The important message throughout the unit was to stop and think before you click! 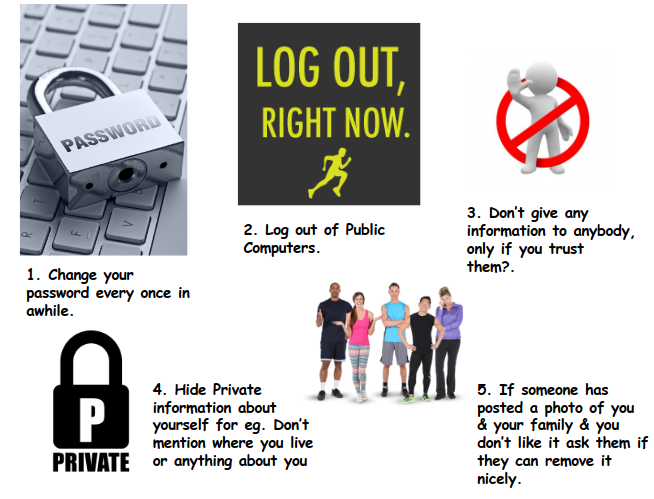 Students then created their own 5 tips to help keep a positive digital footprint (see below Liz's Slides, and Quros' Drawing). Creating these tips ignited some awesome discussions, including about catfishing - which was a topic we explored later on in the unit (after cyberbullying). One of the tasks students were given at the end of the cyberbullying lessons (which included how to help as a bystander), was to create their own Digizen. These express the individuals values and wishes online. Check out Pote and Marilyn's blogs, to see their Digizens and posts. Catfishing was a topic which had the students the most engaged I had ever seen them. Especially after telling my story of being catfished. From reading through the students end of term feedback to me, many students commented on enjoying being in Health because I am open and give real-life scenarios about myself or people I know. I think this was one of those topics. Students came forward to me throughout these lessons and expressed they had been catfished before, or that they had catfished others, which frightened me as these students are only 12 or 13 years old. However, it also affirmed to me the importance of having open conversations with the students about these sort of topics, and what to do if they find themselves in situations like the kids in the videos at the end of the below Slides. 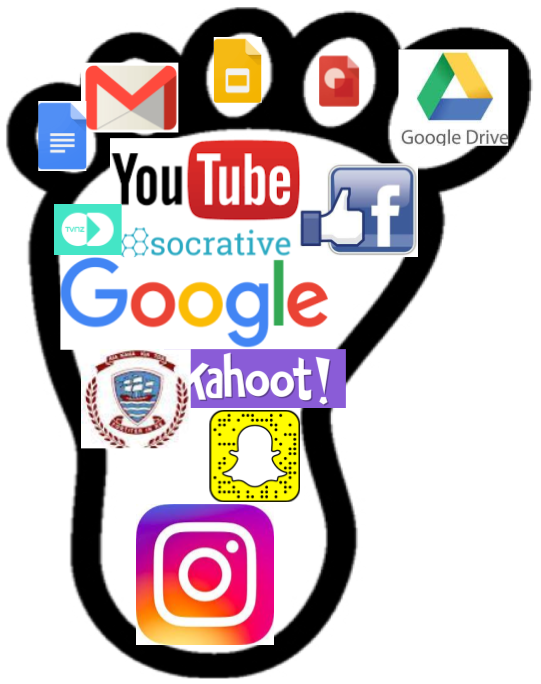 I really hope after this unit the students have left thinking about what they share, comment, look up online, and make smart decisions while engaging on social media platforms. Reflecting on the unit now, I think for next year it would be good to have more students input into what they would like to learn about related to being a cybersmart learner, particularly related to social media. We briefly talked about Snapchat and Snapchat maps, and how they cause possible safety risks for students, but I feel there were probably so many more questions and things which could be explored. I am excited to review the unit and adapt for next year! To finish the unit, students enjoyed playing the Google game Interland, which I highly recommend! Sounds like a great unit Georgia. Thanks for sharing your experiences, student work and resources- it really allowed me to get an overall view of the learning you and your students experienced together. Thanks for your comment Jo, I hope you took something away from the post! Was a really fun unit, which will be great to build on further next year.